It is the role of ANA, in partnership with public and private entities and agencies members of the National System of Water Resources Management (SINGREH), to promote the elaboration of planning studies, which include the water resources plans and the necessary guidelines for the application of financial resources of the Union in works and services of water bodies regularization, water allocation and distribution and water pollution control. The water resources plans are strategic plans which aim to specify and guide the implementation of the National Policy and the management of water. The horizon of the planning is compatible with the period of implementation of the planned programs and projects. ANA has participated in the process of construction and revision of the National Water Resources Plan, coordinated by the Department of Water Resources and the Urban Environment of the Ministry of the Environment (SRHU/MMA), and supervises its implementation. In addition, the Agency coordinates or supports the drawing up of Water Resources Plans for the watersheds of rivers which, according to the article 20 of the Federal Constitution, belong to the Union (such as the São Francisco river; Verde Grande River; Paraíba do Sul river; Piracicaba, Capivari and Jundiaí rivers (PCJ watersheds; Tocantins and Araguaia rivers; effluents at the right margin of Amazonas river, Parnaíba river; and Piranhas-Açu river). These watersheds areas corresponds to 51% of the Brazilian territory with a population of reaching 51% of 54 million inhabitants. Atlas Brazil - Urban Water Supply, coordinated by the National Water Agency, consolidates a diagnostic work and planning in the areas of water resources and sanitation in Brazil, with a focus on water supply security for the supply of urban areas throughout the country. From the results of the specified diagnosis, in which all the water sources and production systems of the Brazilian urban areas were assessed, the necessary main works and actions of management to meet the demands by 2025 were listed, requiring R$ 22 billion by 2015. In addition, there are targeted actions of sewage collection and necessary treatment for the protection of water quality in the water sources. 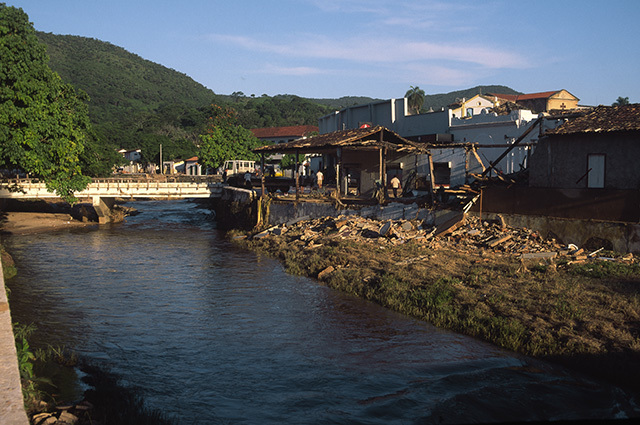 Within its mission of preventing extreme events, ANA produced the Flood Vulnerability Atlas, which mapped the occurrence and impacts associated to gradual floods in Brazilian main rivers. The Flood Vulnerability Atlas includes standardized information with national coverage about flood risk, which may assist the formulation of initiatives and public policies for preventing and mitigating negative impacts of these phenomena.